The project is Entire allocated in the central of the Tianjin Pilot Free Trade Zone (inside The Port Free Trade Zone), 0.5 km away from Tianjin Xingang Port (Ranking as the 4th of the world’s largest cargo handling capacity harbours with deep water), Special Customs Supervision Zone. Here is meeting the National Developing Strategies of “Free Trade Zone”, “Jing-Jin-Ji Integration”, “One Belt and One Road”, and “Internet Plus”. It is the unique rare resource in Tianjin Free Trade Zone, full various supporting, developer direct sale, clear property right, and having a huge rage of Value-Added in personal use. Business Description: Haiwei Liquor Trading Market is the only legal international wine trading platform, which is supported by the Ministry of Commerce of PRC. We adopt membership management. 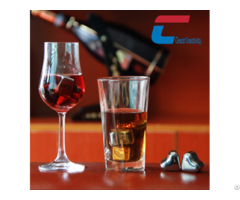 After customs clearance, wines from the suppier members are distributed to the outlet centers in every district and county throughout China by us. We discarded the traditional multi agency trading model and greatly improve wines price quality. We strictly control the direct sale link and keep the original quality of the wines. Now Haiwei Liquor Trading Market has nearly 200 outlet centers. We are going to develop 500 to 1000 outlet centers in two years, so as to develop a nation wide sales network.